Anew is an unmanned fuel center open 24 hours a day, seven days a week. First-time customers must view a 90-second training video to learn how the pumping system works and are then issued a two-digit ID number that coincides with the credit card used for fueling. From that point forward, customers can simply swipe their card, enter their ID number and fill up at a great savings. 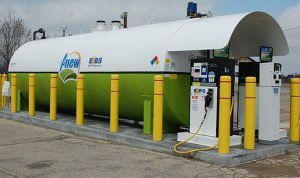 Anew Self Serve Fueling Station in Zeeland offers E85 ethanal blend fuel. 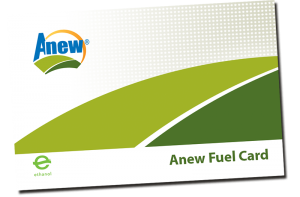 Fleet drivers can save on fuel purchases with our Anew Fuel card. Click here for an application. 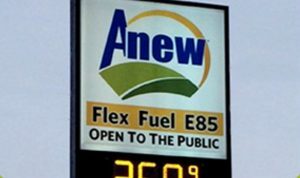 In holding true to our values of supporting alternative fuels, Anew in Zeeland, Mich. is selling E85 under the Yellow Hose program and pledges to keep the price of E85 at least 60 cents per gallon lower than the price of regular gasoline. E85 is an alternative fuel for use in flexible fuel vehicles (FFVs). There are currently more than 15 million FFVs on America’s roads and automakers are rolling out more each year. When E85 is not available, FFVs can operate on any ethanol blend up to 85 percent. E85 is a clean-burning, high-octane fuel produced from renewable sources. At its most basic, ethanol is grain alcohol, produced from crops, such as corn. Because it is domestically produced, ethanol helps reduce America’s dependence upon foreign sources of energy.